Who has my heart's great happiness made? Ceasing to love him, shall I then bate him? Ceasing to love him, shall I then hate him? 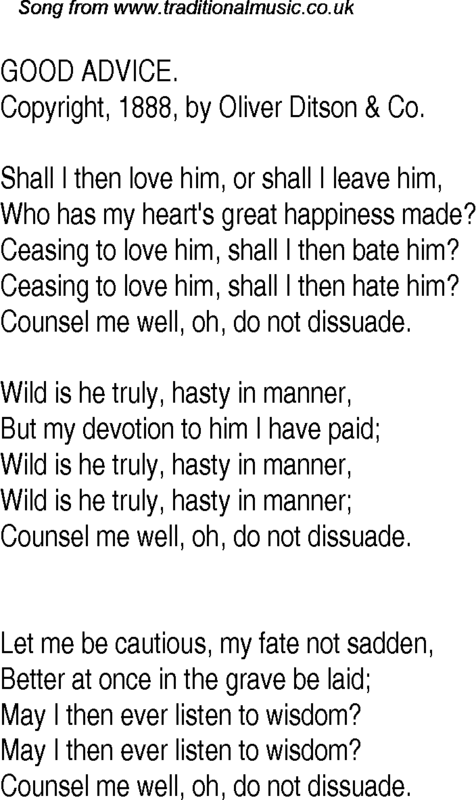 Counsel me well, oh, do not dissuade. May I then ever listen to wisdom?